The Vision Rehabilitation team at the Bob Ohlson Centre for Sight Enhancement and Rehabilitation, GMR Varalakshmi Campus, is proud of their client N Durga Prasad who has cleared his Class X examinations with a 9.2 score. Durga has had impaired vision since childhood due to Heredo Macular Degeneration, an ocular condition that causes permanent damage to the central vision. 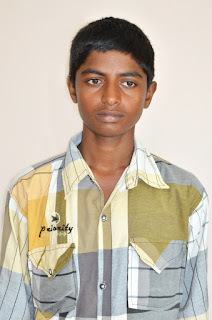 He craved to perform as well as his sighted peers in his academics, and from 2010, has been counseled and supported by the rehabilitation team where he trained on low vision devices such as the monocular telescope and cut-away stand magnifier that allowed him to copy from his classroom board and read from text books independently and efficiently. A grateful Durga acknowledges the team in his achievement, and plans to further train on computer skills at the centre so he can become a Chartered Accountant. One month old baby Subham’s parents had brought him to LVPEI Bhubaneswar after noticing a whitening of his eyes. Dr Aparna Rao had performed Trabeculectomy surgery on the tiny baby. The child is now two years old, has regained vision and is doing well with the aid of spectacles, much to the relief of his grateful parents. Mahadev Meher, a former lecturer and recipient of Best Youth Award for social service in Balangir District, Odisha, came to LVPEI Bhubaneswar for an ocular prosthetic for his lost eye. He is being treated by Dr Devjyothi Tripathy and is so enthused by the cause for eye donation that he has pledged his good eye, and wants to advocate the same in his village. He has even taken 50 pledge forms back with him to his village, with the intent of having them filled up and sent to LVPEI Bhubaneswar! 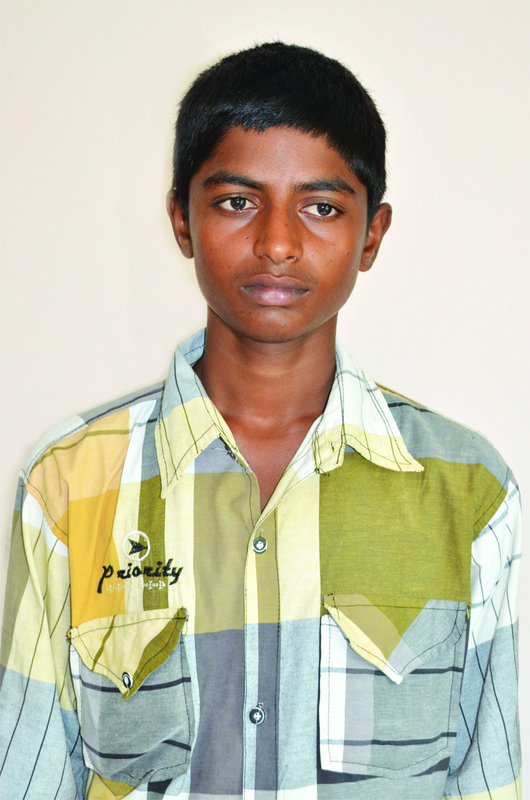 N Manohar Reddy of Madanapalle in Chittoor district, Andhra Pradesh, had developed an eye problem when in Class 7 that had left him blind and dependent on family members. He remembers the severe skin rash and clouded vision he had due to “wrong treatment” for an eye infection. After 15 years of living a compromised life, he was referred to LVPEI Hyderabad and arrived here with much hope, accompanied by his wife Shobha Rani. Dr Virender Sangwan implanted the LVP Keratoprosthesis in one eye in early 2015, and transformed the couple's outlook to life forever. Shobha proudly narrates how Manohar can now see up to nearly 10 metres with the operated eye and so can go out to grow tomatoes in the farm, and even see mobile phone numbers up close. For the first time, the couple has a hope of earning to sustain the education expense of their two schoolgoing sons, and to look forward to life in general. Sisters Laxmi Singh, 10, and Sumitra Singh, 12, from Baripada in Odisha, both had a problem of very low vision in their right eye from birth. As the problem worsened with age, they sought care at LVPEI Bhubaneswar. 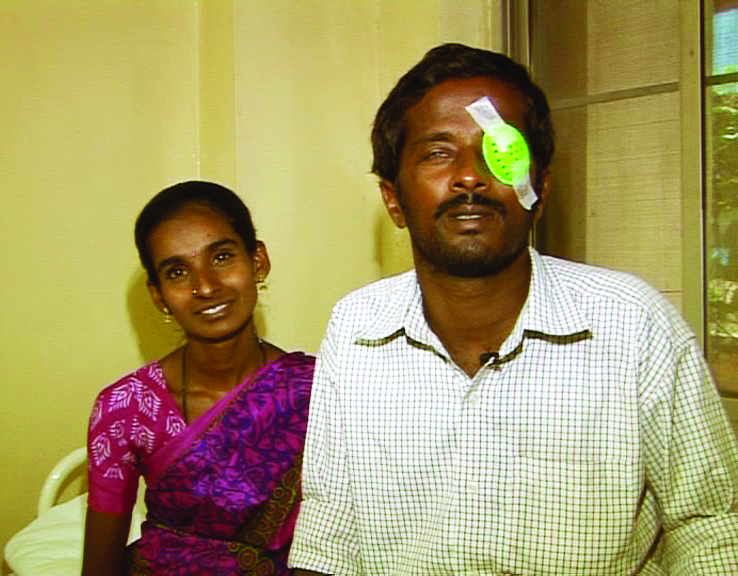 Dr Sujata Das performed Penetrating Keratoplasty, and they were treated completely free of cost as they belonged to a low economic background. The sisters are doing well now post surgery and have a chance of a normal childhood with vision.